McLaughlin Financial Group’s mission is to provide sound financial advice and build lifelong relationships with you and your family members through a foundation of trust, deep understanding about your unique situation, and vigilant awareness about your changing needs. We are a collaborative, multigenerational team that strives to provide you with stability and consistency through your ever-changing needs in retirement. For over 32 years, Justin has assisted generations of families manage the complexities of wealth. He gets great satisfaction building long-term relationships with his clients and their families as he helps them navigate the challenges life presents. Since 1989, he’s been a perennial member of the Wells Fargo Advisors Premier Advisors - a designation held by a select group of Financial Advisors within the firm measured by business production, completion of educational components and professionalism. Justin has enhanced the communities he touches by being involved on boards of many organizations. He is currently a member of Quest for Collier County. In his free time, Justin enjoys golfing, hiking and cycling. He and his wife Karen are very proud of their two daughters Kelsey and Colleen. Kelsey, a graduate of the University of Georgia, works in Atlanta, GA. Colleen is a junior at Florida State University and is excited to be a proud Seminole. Kathy's work is grounded in her customer-first philosophy. 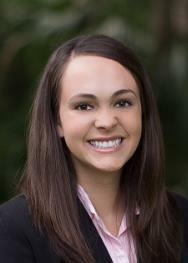 She is committed to providing excellent service and support to assist clients throughout the investment planning process. Kathy holds her Series 7 and 63 registrations and Florida insurance licenses. After more than 20 years in the financial industry, Kathy started her career with A.G. Edwards & Sons, Inc. (a predecessor firm of Wells Fargo Advisors) in 2000 as the assistant to the branch manager in Lexington, Kentucky. In 2004, Kathy moved to Naples, Florida and joined the McLaughlin Financial Group of Wells Fargo Advisors. She was named a Premier Client Associate 2014, 2015, and 2016, a recognition is held by a select group of Registered Client Associates within Wells Fargo Advisors nominated by their management for their consistent display of professionalism, integrity and core leadership values. Kathy and her husband Ken attend McGregor Baptist Church in Ft Myers, Florida. She has two grown children, Adam and Kacey. Ashley strives to provide intentional service to each client she interacts with, which she strongly believes is the cornerstone of every successful relationship. The foundation for her customer-first practice is based on her desire to make each client feel both welcomed and individually cared for throughout their investment planning process. Ashley joined the McLaughlin Financial Group of Wells Fargo Advisors in 2016, and she holds her series 7 and 66 registrations and Florida insurance licenses. She has a background in communications and previously held a position within a communication department, where she specialized in event planning and public relations initiatives. Ashley’s love for Florida is eminent in her frequent road trips on back-country routes or along coastal shores. She enjoys spending time outside fishing, hunting and adventuring in nature parks. She comes from a large family, and her family started expanding further in late 2015 when she became an aunt. She adores time with her nieces and nephews and loves being in the same city as three of her five siblings.